Sharing your practise and your professional learning online with other from around the world. Just Trying To Be Better Than Yesterday | …how difficult can that be? 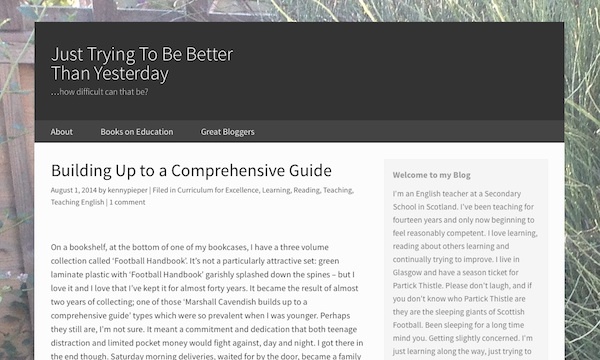 Tip: ScotEduBlogs | A aggregation of Scottish educational blogs aggregates lots of professional blogs from around Scotland this should give you a feel for professional blogging. Pedagoo is a site where any teacher can sign up to post.